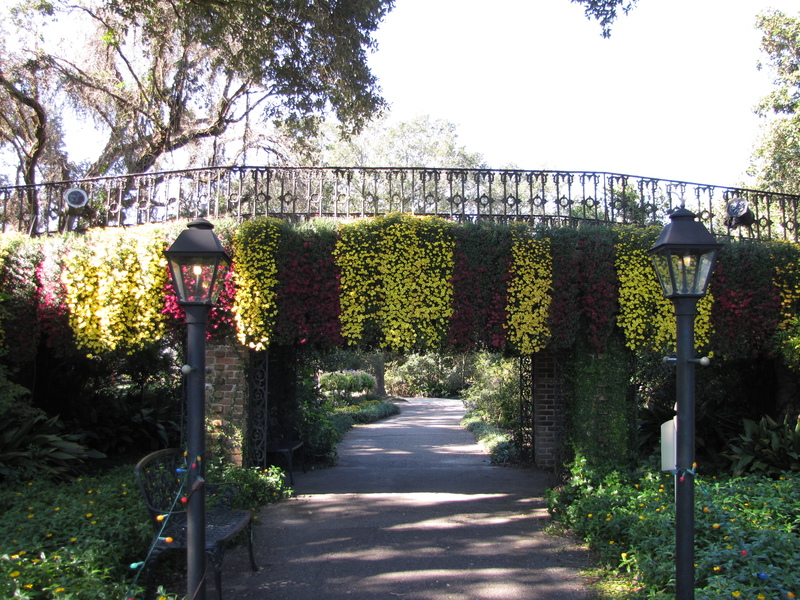 « SWORD GATE, CHARLESTON, S.C.
Now that we have had a killing frost and all the flowers in my garden are wilted, except for the mums, it reminds me of our trip last fall to Bellingrath Gardens in Mobile, Alabama. Here is the nation’s largest outdoor display of cascading chrysanthemums. 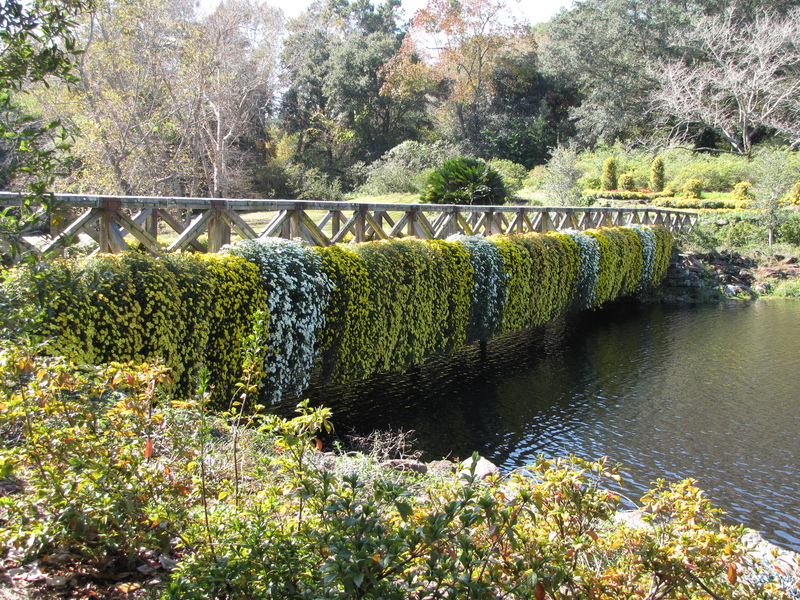 There are four foot long cascades of mums on bridges, balconies, in baskets and in flower beds through the garden. All the cascades are grown at Bellingrath and it takes over nine months to grow a single crop. I can just imagine what an effort it must be to move the cascades to the various places in the garden. This was my first time to see cascading mums and what a magnificent sight it was. 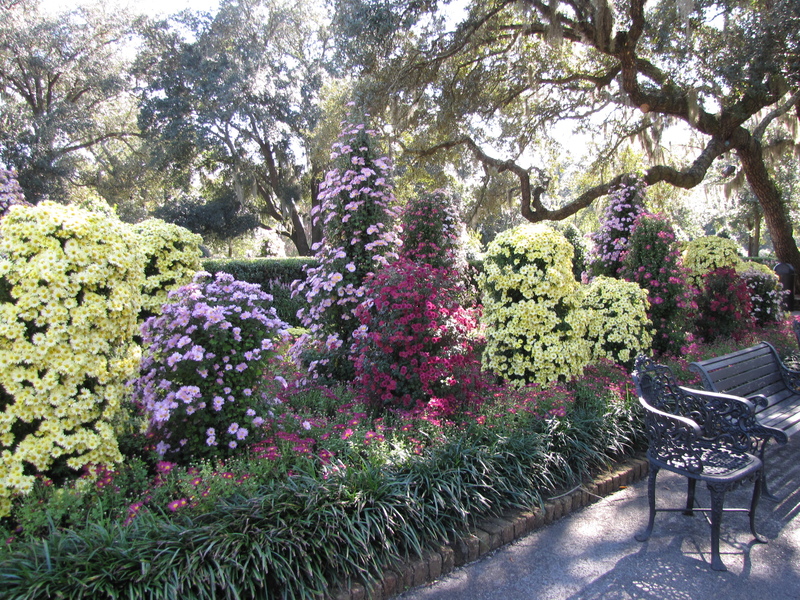 There are over 8,000 bedded, potted and cascading chrysanthemums spread out over 65 acres in the garden. 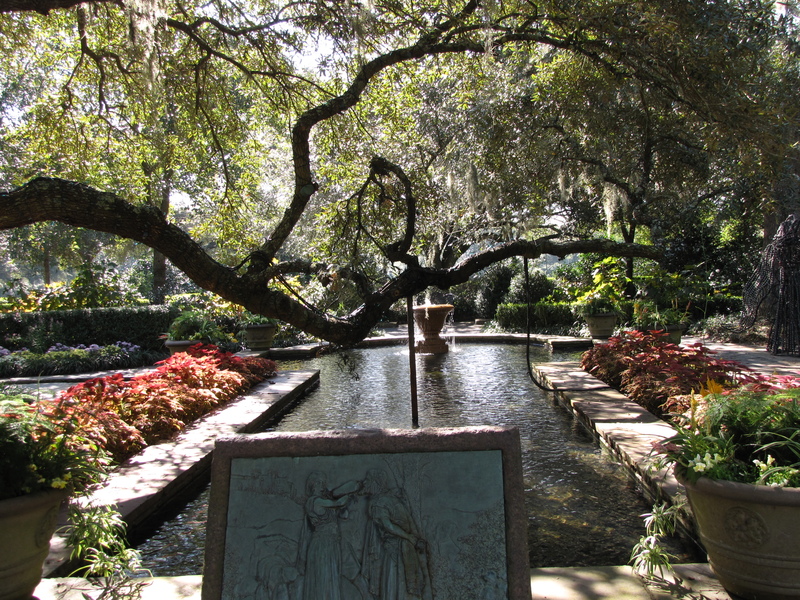 Bellingrath was originally the home and garden of Walter and Bessie Bellingrath. Walter was the original owner of Mobil’s Coca-Cola bottling company. The home, built in 1935, is a museum and time capsule where you can see how the truly rich lived. It features the complete furnishings once enjoyed by its original occupants. 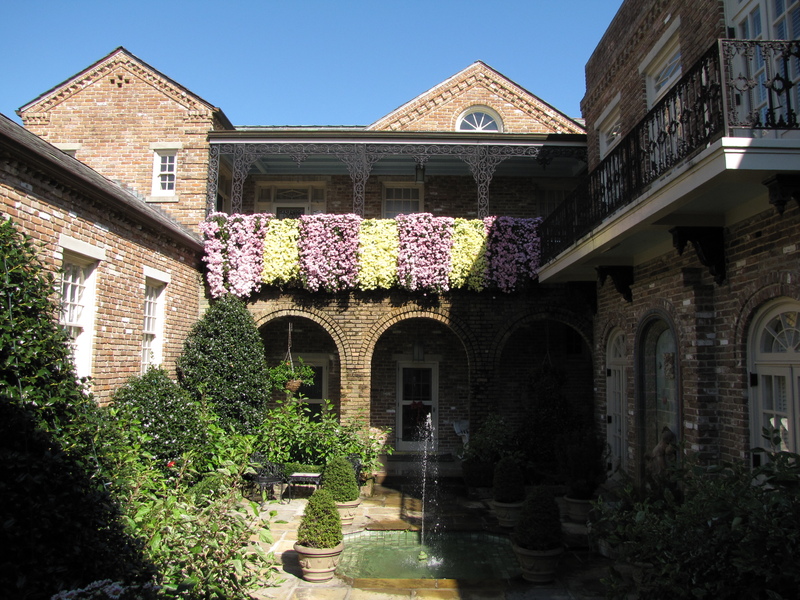 The 15 room mansion is furnished with antiques and personal effects but seemed very livable. 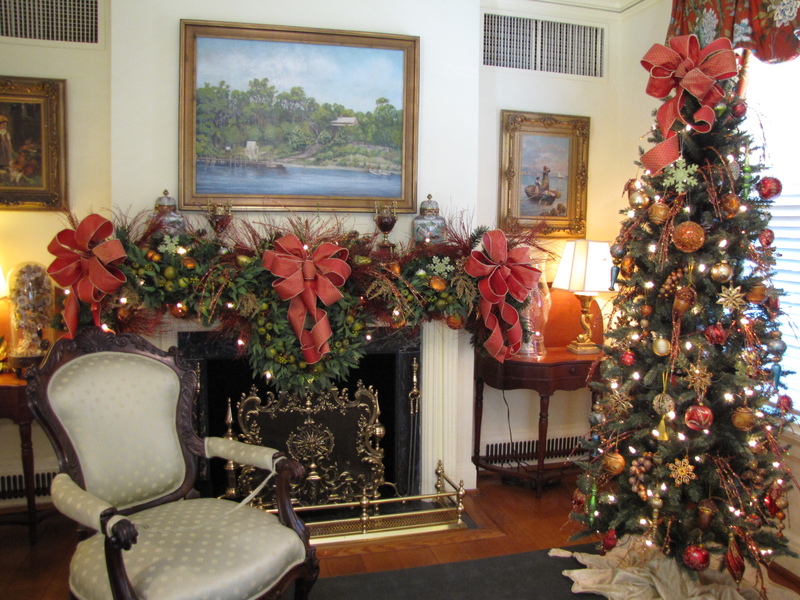 When we were there it was decorated for Christmas, which made it extra special to tour. Besides the beautiful mum displays it was also delightful to walk under the towering live-oaks draped in Spanish moss. 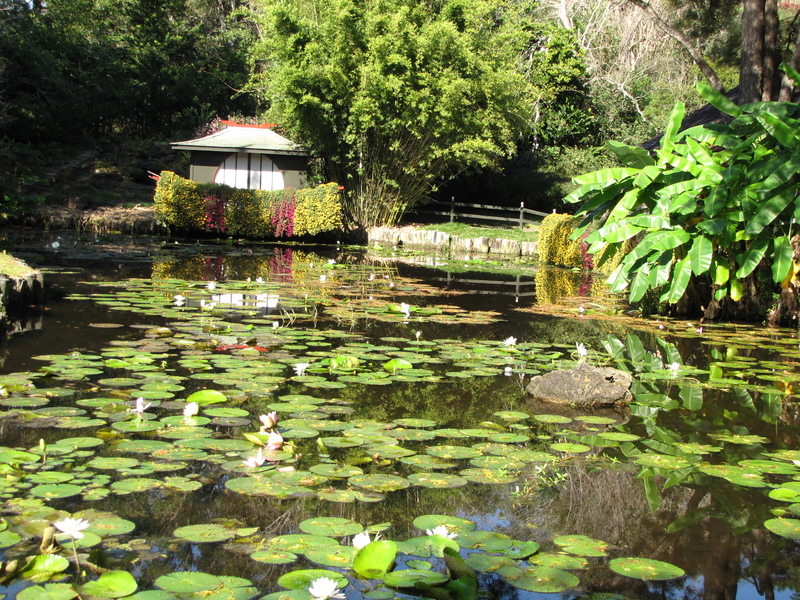 On the grounds there is also a rose garden, a conservatory, chapel, even an oriental garden with a moon bridge. 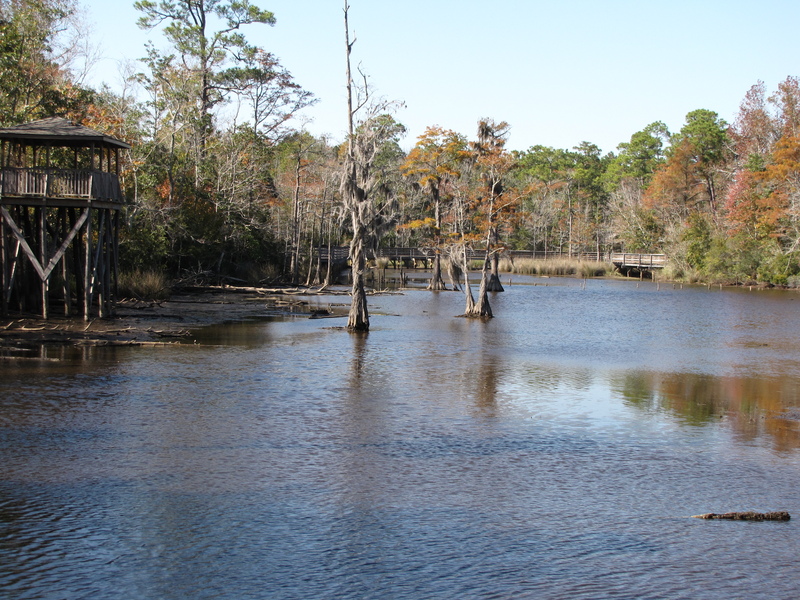 A boardwalk allows you to enjoy the peaceful bayou that is home to fish and wildlife. It is a beautiful garden to walk around enjoy. 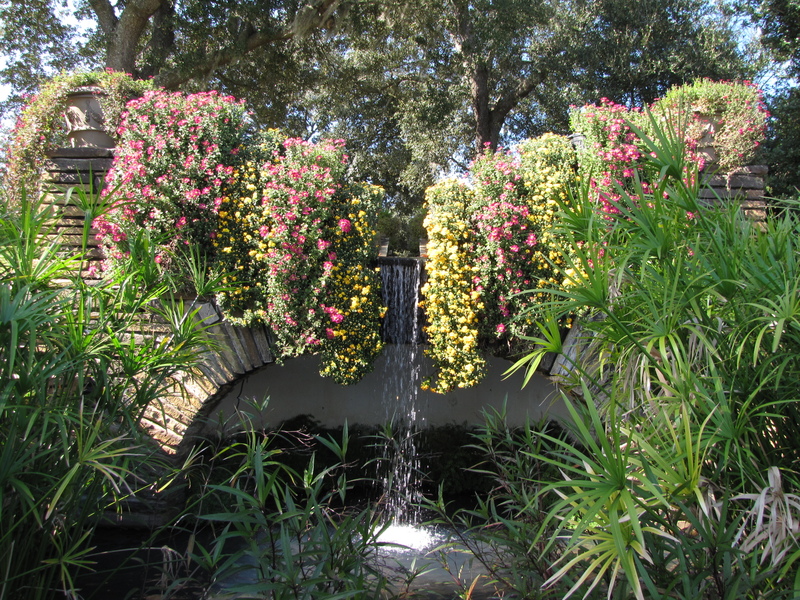 When Walter Bellingrath was 80 he publicly announced the creation of a foundation to assure the continued existence of his beloved gardens and give credit to his late wife’s tireless efforts in creating the Gardens. What a lovely memorial to his wife. There is something to see every season in this garden. At Christmas the whole garden is decorated with Christmas lights. They were starting to put the lights up when we were there so we got a little preview of their Christmas display.